^^^ Kurgan has moved on to other bikes. Apparently too much to maintain them RSs, he couldn't take it. Went from raves to a little ranting, but not too bad. Now technical, I aint ... but thanks to the members on this here greatest forum, I ventured over yonder and can now proudly announce, that I changed my grips myself, with the help of everybody here. Mine looks like the one's listed under pic # 48, sort of looks leather-like. Pardon the pic quality, taken with cellphone. They give the best grip, reducing the effort required to hold onto the grip (mostly the throttle side), thereby reducing grip fatigue. I would think that the full diamond grip would be a lot better than the ProGrip 699's or 723's pictured in the original thread. Anybody have any idea? Anybody install full diamond grips on a KS or KR? Decide to do this finally, but to use OEM grips. Ordered from Maxbmw, just a heads up the grips that i got are open ended, don't have that little web on the end. Other than that they look the same. I've just put non heated ProGrips on my 1997 KRS and what a PITA getting the right thing. My bike has closed grips and I don't want or need bar ends. The world of bike grips seems mostly open end for bar ends and most Ebay sellers haven't got a clue what they sell! ProGrip 724's are definitely OPEN END. First clue in my saga of woe is many bikes are 22mm on the clutch side and 25mm on the throttle side. ProGrip don't mean that is a size range! The grip tube hole sizes are different. My KRS plastic sleeves are about 25-26mm equal both sides. However, the ProGrip 22mm duo density touring grip will stretch over 25mm on the clutch side. Next comes the length. Most aftermarket grips will be 125mm. However, the BMW plastic grip sleeves on my bike are about 4 mm longer. The grip just about works on the clutch side plain bar, but will not reach the metal shroud on the throttle side, looks ugly and badly fitted. I had to carefully cut about 4mm off the ends of my plastic sleeves to get a decent fit on the length. I don't think 4mm will make any difference if I ever go back to the OEMs. No probs removing the old non-heated grips with a craft knife. I've decided not to fit heated grips as I don't have decent hand protection on the early plastics design. I will probably buy heated gloves instead. Moral seems to be stick with oem if you want something that works without hassle. Not ALL of them. Plenty of vendors on the web state specifically they have 724 closed end and show pictures of same. It's definitely something to clarify before ordering, as the first set of 713s I received were different from the pictures (no mention in the description). Guess you missed all the posts here advising the purchase of two pairs of the aftermarket grips to get a single pair of 25mm grips? I mentioned this issue in my post above, as have others. A possible solution to avoid cutting the plastic sleeves as you've done is to get a longer grip. As I pointed out, the Progrip 713 comes in an "XL" version that is 1cm longer. They have other XL grips as well, but evidently not the 723 you got. Thanks for working through the issues. I still think there is so much navigation and 'gotchas' to do that a pair of non-heated oems is correct fit and forget. 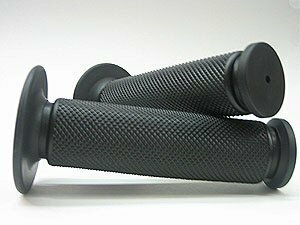 The price of Progrips here is around £15 per pair, so to buy two sets for 2X25mm ID is £30. A pair of non-heated oems closed end and correct for the bike can be got for around £45 and you know everything will work. I spent ages on the Progrip site trying to work through the options. Even the UK distributors don't understand them! They do feel 'grippy' compared to the harder rubber oems and there is less jolting from the bars coming through my hands. If they don't last, I'll just buy the BMW oems next time. Even stretching the 22mm to 25mm you cannot see any difference when they are on the bars, but the extra 1cm length would have helped a lot. If you read my post above you'll see that the OEMs did NOT come as a closed end grip. The parts for my '97 shown with circular ribs like the one's I took off are 61317694809 and 61317709496. The fiche isn't showing the detail whether closed or open. Are those the oem part numbers you got which were open? Did you plug the holes with bar ends or just leave the throttle side to fill up with water when parked? Below is part I ordered, for 02, which is open ended. I installed plastic caps on ends from another set of grips, not OEM. 32721458396 is right a grooved grip to fit 1994- 2001 R1100RT R850 K1100LT K1100RS but NOT a K1200RS for this bike section! Dealers and aftermarket sellers seem to just pull out grips and think they are all the same. What's your bike? Is it one of those above or a K1200RS/GT? As I said, most of the bike world seems to be on open ended grips and bar weights, so the sellers think they know best. It's an 02 KRS, when I did a search on their site thats the part number that came up. Don't be miffed they sold you the wrong parts. Story of my 'not so easy' tale of woe so far. I got my part numbers from Realoem. If I had known my Progrips could be got 1cm longer, I would have got them, but as I said, their website layout and part cross references are fraught with traps. When you do eventually find these things for sale, sellers post up generic stock photos which are not like the item sold and they don't get their technical description correct. Perhaps USA sellers are different. There's another reason for choosing the oem grips. My bike is a '97 with 50K. Not only have the grips softened and worn (still not bad for age/mileage), BUT I've had issues with the throttle sleeve not twisting smoothly, although this improved after cleaning. I could see wear and scuffing inside. 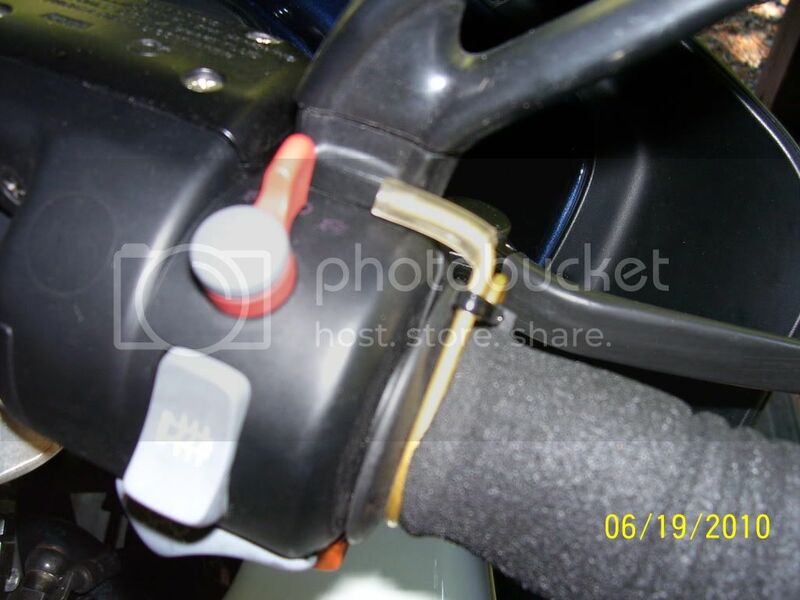 When you buy the oem throttle grip it comes complete with new plastic sleeve. The open-ended BMW grip is definitely not specified for the K12 bikes, but it's very common on other BMWs. In the link posted from MaxBMW, it shows the part listing, but notice that it says "No Diagrams Found." That's because it doesn't apply to the K12RS that was used as a search filter. A few updates to this great thread on Grip Replacement. I obtained 2 sets of the ProGrip 723 types & proceeded to use the excellent info above. We have a saying in our family, that we often get afflicted by "The Quilter Factor" - it was apparent after the first few minutes that this was one of those moments. It took us a bit longer than the 15 minutes that we had hoped for. Work in the same direction as the wires run, around the grip, not along it. Cut with the wire cutters as you go to relieve tension. On the RH grip there was a section of about 25mm towards the RH end of the grip where the wires were quite slack and had lifted out of their channels. I was especially careful here and took my time. It may help to run the heated grips immediately prior to removing them as it softens the rubber a little. Mine came off in increasingly smaller portions. At the end of the bars there are hard plastic raised rims which are part of the OEM rubber grip. These had to be cut with the snips. I used a tightly bound piece of electrical insulation tape at the point where the wires were loose to keep them in place when the grip was slid on. The hairspray worked well and they slid on quite easily. The RH one does not go all the way up to where the OEM one did, and if you look very closely you can see a little of the hard plastic of the old assembly, but IMHO it is acceptable. One more point - if you use a Throttle Buddy or Cramp buster as I did previously, you will find that the ProGrips are far too soft to allow it to be adjusted, it will just bunch up the grip. I will have to look for some alternate options for a simple "manual cruise control". Tested the heated grips after replacement and all was well. Total time - 40 minutes. Good info Paul. I too had to go really slowly at times as the rubber was really stuck to the wires in places. I'm sure others will run into the same situation. Btw Throtlemeisters work well with the Progrips. I will have to look for some alternate options for a simple "manual cruise control". 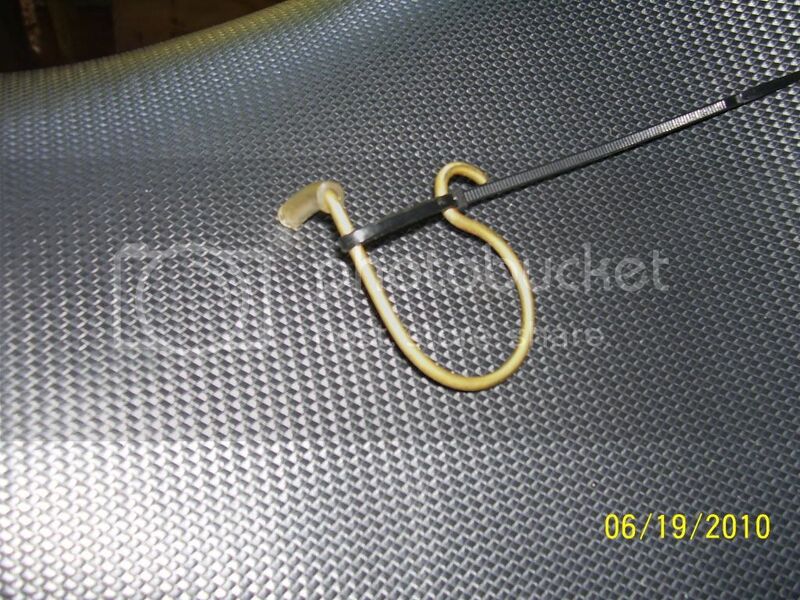 I like brass so the coat hanger prototype is long gone. Shiny brass does have some milleage (lots) on a few BMWs. At times I like it better than the CC, that thing doesn't engage anyway at slow speeds when I'd like to stretch my arm after too many curves/switchbacks on gravel. Thanks for that - simple but effective.... Off to find some wire in the shed ! BTW there are some Throtlemeisters for sale in classifieds. Brass??? I'd give you some in case you checked the price of brass rod recently. Just returned from 4 weeks on the bike in the South Island of NZ. Great trip, did 6622 Kms, and found even more great roads. Bad news was my ProGrips 723 handlebar grips. After just a week the left hand side had worn through and then the right hand one did the same - both at the ends where the reinforcing shroud for the heater wires is. I also found that I got pins and needles in my right hand, something I have never had with the standard grips. I am going to have to replace them, question is with what? Dealer says the OEM ones are only available as a complete assembly at around NZ $200 each ! I have seen posts on various types, but it seems that the stock ones are not available as just the "rubbers" is this correct? For the ribbed variety, I think those are more widely available as spares (all open-ended AFAIK) since a lot of the earlier Ks and oilheads used the same ones. Pretty cheap, even from a dealer (P/Ns 32721458396 & 32721458395). Installed after-market heat elements and Pro-Grips on my old K100RT a year ago. That bike also needed end-bar weights due to the vibration. Used isopropyl alcohol to slide them on--and that worked great. That BMW had the friction screw underneath that holds the throttle in place while I stretch. Still, there was twisting round of the soft Italian grip under normal use, and don't believe hair spray would have helped that. My KRS came to me with broken heaters and a sliced-open throttle grip. So, picked-up a set of non-heated OEM for $25 on e-bay for temporary use. Next year will try the same trick of after-market heaters. Not sure if end-bar weights or Throttlemeisters are in order. This bike has Teflon-coated throttle cable that slides freely, and the throttle spring doesn't seem too stiff either. But, time will tell. At any rate, BMW put hard rubber grips on for a reason, and IMHO soft rubber just doesn't hold-up as well. So, the search is on for a grip that won't bunch or twist. There are a number of new cruiser-style grips that may work fine, but it will take some research to find a good fit. Thanks to Racingiron for the links to grip suppliers. I have ordered some from Hornig in Getmany & will report on how they pan out. AJ Valente is quite correct that soft types do not work well at all on our bikes ! I was afraid after all this time that the part numbers or specs may have changed on the 723 grip originally used here. But, thanks to BOB who ordered them in 2015 and posted a review reiterating he purchased two sets for his K1200RS...I am confident now that I have the right ones on the way ad will soon have 'good grip' again.